Questions and answers: Was openSUSE just purchased? 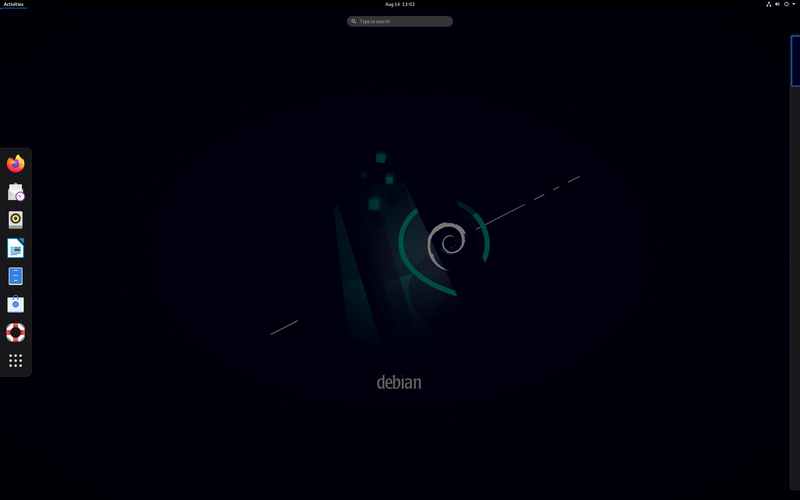 Rate this project Big day for the Debian fans - Debian GNU/Linux 5.0 "Lenny" has been released: "The Debian Project is pleased to announce the official release of Debian GNU/Linux version 5.0 (code-named 'Lenny') after 22 months of constant development. Debian GNU/Linux is a free operating system which supports a total of twelve processor architectures and includes the KDE, GNOME, Xfce, and LXDE desktop environments. This release includes numerous updated software packages, such as the K Desktop Environment 3.5.10, an updated version of the GNOME desktop environment 2.22.2, the Xfce 4.4.2 desktop environment, LXDE 0.3.2.1, the GNUstep desktop 7.3, X.Org 7.3, OpenOffice.org 2.4.1, GIMP 2.4.7...." See the release announcement and release notes for a detailed description of the release. As usual, a wide variety of installation media is available for free download from the project's mirror sites. For new installations, the "netinst" method of installing the distribution is probably the easiest; get the "netinst" images for i386 and x86_64 architectures from here: debian-500-i386-netinst.iso (150MB, MD5, torrent), debian-500-amd64-netinst.iso (131MB, MD5, torrent). The Debian project, which develops the world's largest Linux distribution, has announced the release of Debian 9, code name "Stretch". The usual long-development cycle and conservative, well-tested nature of the product is a consequence of the distribution's support for a number of processor architectures (i386, amd64, arm64, armel, armhf, mips, mipsel, mips64el, ppc64el, s390x) and a wide range of deployment scenarios, including desktops (GNOME 3.22 as default, with KDE Plasma 5.8, LXDE, LXQt 0.11, MATE 1.16 and Xfce 4.12 also provided) and servers. Debian 9 comes with over 51,000 binary packages, a new record for a stable Debian release. "After 26 months of development the Debian project is proud to present its new stable version 9 (code name Stretch), which will be supported for the next 5 years thanks to the combined work of the Debian Security team and of the Debian Long Term Support team." Read the release announcement and see the what's new section of the release notes for further information. Debian 9 is available in several variant, including a full DVD set and a separate set of live DVD images with popular desktop environments, among other options. Here is the download link to the amd64 installation DVD image: debian-9.0.0-amd64-DVD-1.iso (3,628MB, SHA512, torrent, pkglist). The live images are also ready (SHA512): debian-live-9.0.1-amd64-cinnamon.iso (2,006MB, torrent), debian-live-9.0.1-amd64-gnome.iso (2,224MB, torrent), debian-live-9.0.1-amd64-kde.iso (2,466MB, torrent, debian-live-9.0.1-amd64-lxde.iso (1,872MB, torrent), debian-live-9.0.1-amd64-mate.iso (1,929MB, torrent), debian-live-9.0.1-amd64-xfce.iso (1,853MB, torrent). The Debian project has announced the release of Debian GNU/Linux 8.0, code name "Jessie". The new stable version is the first Debian release to use systemd as the default init software. It offers support for two new architectures, arm64 and ppc64el, while dropping support for the IA-64 and Sparc architectures. Debian Jessie ships with GNOME Shell 3.14 as the default desktop environment and a number of code hardening features have been added to the build process. "After almost 24 months of constant development the Debian project is proud to present its new stable version 8 (code name 'Jessie'), which will be supported for the next 5 years." Jessie can be downloaded in several editions, including a full DVD set, a CD image, a set of live DVD images with popular desktop environments, and a minimal "net-install" image. See the release announcement and release notes for more information. Download: debian-8.0.0-amd64-DVD-1.iso (3,792MB, SHA512, torrent, pkglist). Quick links to the live DVD images (SHA512): debian-live-8.0.0-amd64-cinnamon-desktop.iso (1,088MB, torrent), debian-live-8.0.0-amd64-gnome-desktop.iso (1,315MB, torrent), debian-live-8.0.0-amd64-kde-desktop.iso (1,206MB, torrent, debian-live-8.0.0-amd64-lxde-desktop.iso (950MB, torrent), debian-live-8.0.0-amd64-mate-desktop.iso (961MB, torrent), debian-live-8.0.0-amd64-xfce-desktop.iso (942MB, torrent). 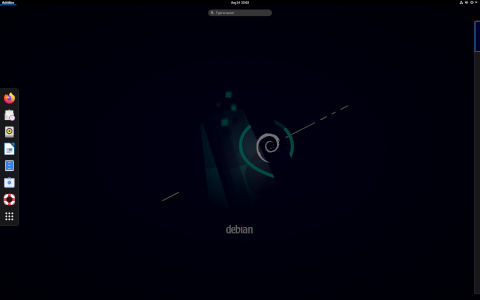 Debian GNU/Linux 7.0, a new stable version of the world's largest Linux distribution, has been released: "After many months of constant development, the Debian project is proud to present its new stable version 7.0. This new version of Debian includes various interesting features such as multiarch support, several specific tools to deploy private clouds, an improved installer, and a complete set of multimedia codecs and front-ends which remove the need for third-party repositories. Multiarch support, one of the main release goals for Wheezy, will allow Debian users to install packages from multiple architectures on the same machine. This means that you can now, for the first time, install both 32- and 64-bit software on the same machine and have all the relevant dependencies correctly resolved, automatically." Read the release announcement for basic information and check out the release notes for technical details. Download: debian-7.0.0-amd64-DVD-1.iso (3,813MB, SHA256, torrent). Debian GNU/Linux 6.0, code name "Squeeze", has been released: "After 24 months of constant development, the Debian project is proud to present its new stable version 6.0 (code name 'Squeeze'). Debian 6.0 is a free operating system, coming for the first time in two flavours. Alongside Debian GNU/Linux, Debian GNU/kFreeBSD is introduced with this version as a 'technology preview'. Debian 6.0 includes the KDE Plasma Desktop and Applications, the GNOME, Xfce, and LXDE desktop environments as well as all kinds of server applications. It also features compatibility with the FHS v2.3 and software developed for version 3.2 of the LSB. Debian runs on computers ranging from palmtops and handheld systems to supercomputers, and on nearly everything in between. A total of nine architectures are supported by Debian GNU/Linux." Read the release announcement and release notes for details. A total of 693 ISO images have been prepared for this release; here are the quick links for the first of the eight installation DVD images for the i386 and amd64 architectures (installable live CD/DVD images are available here): debian-6.0.0-i386-DVD-1.iso (4,475MB, SHA256, torrent), debian-6.0.0-amd64-DVD-1.iso (4,446MB, SHA256, torrent). Otavio Salvador has announced the availability of the second release candidate of the Debian Installer for "Lenny", the upcoming release of Debian GNU/Linux 5.0. As usual, the installer comes with the complete set of Debian "Lenny" packages on CD, DVD and Blu-ray images. From the release announcement: "The Debian Installer team is pleased to announce the second release candidate of the installer for Debian GNU/Linux 'Lenny'. Improvements: updated Linux kernel (2.6.26-13) and external modules (2.6.26-5); available modules for PATA devices on CD-ROM images; improved brltty device support; support firmware loading from USB devices in SPARC; improved support for encrypted partitions in rescue mode; fixed multi-arch CD - it no longer boots directly to the amd64 installer; updated installation guide with a re-added Spanish translation...." The most common way to install Debian "Lenny" is by using the "netinst" CD images, which can be downloaded from here: debian-Lenny-DI-rc2-i386-netinst.iso (150MB, MD5), debian-Lenny-DI-rc2-amd64-netinst.iso (131MB, MD5). Strictly speaking, this is a release candidate for the Debian installer only, but since the release includes a full set of Debian "Lenny" CD and DVD images, it is perfectly suitable for testing the entire distribution. From the announcement: "The Debian Installer team is proud to announce the first release candidate of the installer for Debian GNU/Linux 'Lenny'. Improvements in this release: improved support for live CD installation media; support for some NAS devices based on Marvell's ARM-compatible Orion chip; installer images for Netwinder have been added again; installer images for i386 Xen guests; support for hardware speech synthesis has been added; upgrade of packages early in pkgsel, for example to get available security updates for base system packages; support for loading firmware from (removable) media during the installation...." Read the rest of the release announcement for more information. Quick download links to the i386 and amd64 "netinst" CD images: debian-testing-i386-netinst.iso (150MB, MD5), debian-testing-amd64-netinst.iso (132MB, MD5). Alexander Reichle-Schmehl has announced the availability of the fifth revision of Debian GNU/Linux 4.0 "Etch", a security and critical bug-fix update of the project's current stable release: "The Debian project is pleased to announce the fifth update of its stable distribution Debian GNU/Linux 4.0 (code name 'Etch'). This update mainly adds corrections for security problems to the stable release, along with a few adjustments to serious problems. Please note that this update does not constitute a new version of Debian GNU/Linux 4.0 but only updates some of the packages included. There is no need to throw away 4.0 CDs or DVDs but only to update via an up-to-date Debian mirror after an installation, to cause any out of date packages to be updated. Upgrading to this revision online is usually done by pointing the Aptitude (or APT) package tool to one of Debian's many FTP or HTTP mirrors." Read the full release announcement for a detailed list of changes and upgrade instructions. Daniel Baumann has announced the availability of the first set of live CD images for Debian GNU/Linux 5.0 "Lenny", complete with a hard disk installer and available in three desktop variants (GNOME, KDE and Xfce): "The Debian Live team is pleased to announce the first beta of Debian Lenny's Live images. This is the first official release of Debian Live and the whole team has been working hard during the past 2.5 years to make Debian's own live systems become a reality. Main features: 100% Debian; Live Magic - a GUI front-end around the live-helper scripts, offering a subset of the features of live-helper in an easy-to-use graphical user interface; Live Installer - a special udeb for the Debian Installer that installs the system from the live image." Read the full release announcement for more details and known issues. Download (MD5): debian-live-lenny-i386-gnome-desktop.iso (733MB), debian-live-lenny-i386-kde-desktop.iso (702MB), debian-live-lenny-i386-xfce-desktop.iso (503MB). ISO images for the amd64 architecture are also available.